The Port of Long Beach's new Energy Island Initiative is a comprehensive strategy for transitioning the Port to renewable power sources and self-generation systems. Driving the plan is a growing demand for electricity as Long Beach moves toward a zero-emissions operation. Anthony Otto, president of Long Beach Container Terminal (LBCT), has been awarded the Clean Air Leadership Award by the Coalition for Clean Air (CCA). The environmental advocacy group presented the award May 15 at its 2015 California Air Quality Awards ceremony. Otto accepted the award on behalf of LBCT and its parent company, Orient Overseas Container Line Ltd. (OOCL). Otto, a longtime maritime industry leader, is overseeing the $1.3 billion Middle Harbor Terminal Redevelopment project. The project is transforming two aging container terminals into one of the world’s greenest and most technologically advanced marine facilities. 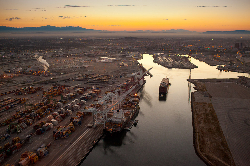 The Port of Long Beach is working on its new Strategic Plan to replace the current one that expires in 2016. An update of the outgoing 10-year plan reflects the Port’s transition to key performance indicators (KPIs) that closely track the progress of its initiatives. 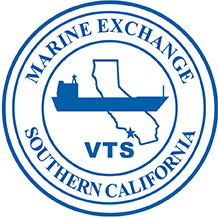 Eric Shen has joined the Maritime Administration (MARAD) of the U.S. Department of Transportation as its Director of the Southern California Gateway Office in Long Beach. 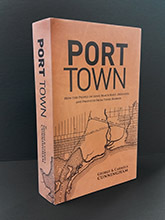 Shen made the move June 1 after serving as the Port of Long Beach’s Director of Transportation Planning for more than seven years. The Containerization & Intermodal Institute has named Federal Maritime Commission Chairman Mario Cordero as the recipient of its 2015 Connie Award. The honor recognizes individuals who have made extraordinary contributions to containerized shipping and intermodal goods movement. The former Long Beach harbor commissioner is widely recognized for his industry leadership, which includes the pioneering Green Port Policy. CII will also honor Tay Yoshitani, retired CEO of the Port of Seattle and longtime industry leader, with its Lifetime Achievement Award. 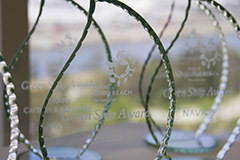 CII will present the awards Sept. 29 in Long Beach. The trade and transportation community mourns the death of Josh Owen, president of Ability Tri-Modal Transportation Services. 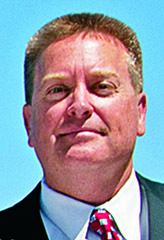 Known for his leadership in the Southern California trucking industry and the Long Beach community, Owen, 43, died in his sleep June 1. Watch a tribute video.